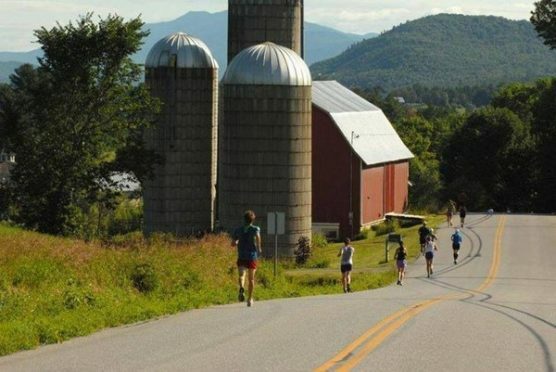 Rolling country roads along a route that alternates between the quaint streets of this small central Vermont town and the countryside framed by the nearby Green Mountains just outside town await runners at the Mad Marathon & Mad Half, set to make its 9th annual running this year. The race takes runners through a part of New England that’s well-known as a wintertime ski destination, thanks to nearby resorts like Mad River Glen and Sugarbush. In the summer, visitors trade in their skis for a chance to hike, camp in and explore the state forests that lie just to the north, south and west of this small town, which is home to just under 2,000 residents. Fishing, canoeing and kayaking also are popular here, whether on the Mad River that flows through town or at Lake Champlain, which lies roughly an hour away. Runners in both the half and the full marathons will share the same starting line at the Mad River Green in downtown Waitsfield. 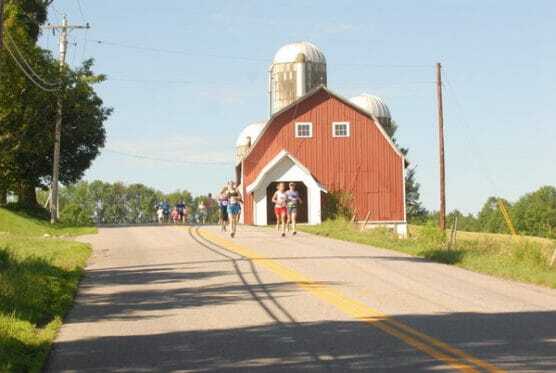 From there, the course will take runners through Waitsfield Village, and both the half and the full marathoners will share the same route for approximately the first 10 miles, which unfolds through some of the most gorgeous stretches of rural Vermont, along a combination of tree-lined country roads that alternate with wide-open fields along the river valley. The half marathon has two particularly hilly stretches — in the early going, as runners are making their way along the first couple of miles out of Waitsfield Village and toward the direction of Scrag and Bald Mountains. The course climbs roughly 400 feet between the first and second mile markers, and then drops again after runners pass the mile 2 marker and make the turn from Joslin Road onto North Road. The next big hilly stretch comes in the middle part of the race, after runners have made the turnaround point on North Road and are heading back toward Waitsfield. Over the next four miles, between mile markers 6 and 10, the course rises some 500 feet between its lowest point on North Road and its highest point around mile 10, along Common Road. After that, the course then starts a downhill descent over the final three miles of the half marathon, which turns right onto Warren Road to bring runners back to the Mad River Green for the finish, while those running the 26.2-mile race continue on south along Warren Road toward Sugarbush and Granville. 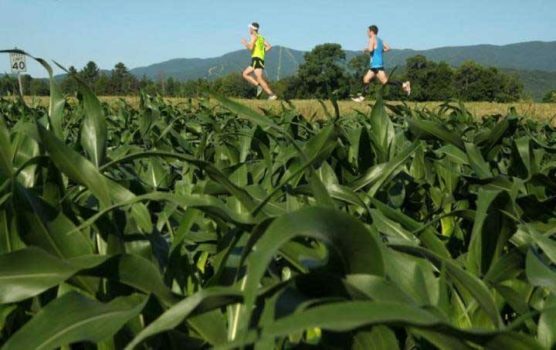 Located in central northern Vermont, roughly 40 miles southeast of Burlington, Waitsfield typically sees its warmest weather of the year in July, which has brought record temperatures here as low as 36 degrees (in 1962) and as high as 95 degrees (in 1977). On race day (July 7), the average low is 56ºF and the average high is 78ºF. See the race route map for the Mad Half Marathon here. To reserve your spot in the 2019 running of Waitsfield’s Mad Marathon or Half Marathon, register online at Active.com here. Ever run in the Mad Half? Share your impressions here, or post your review in the Comments below.